Common isn’t playing with y’all when it comes to voting this fall. The rapper who was among the panelists Friday at the “Young, Gifted & Black” panel, held during the Congressional Black Caucus Foundation’s Annual Legislative Conference, told an audience of young people how he’d feel if they didn’t head to the polls in November. The panel, which was moderated by honorary host Congresswoman Maxine Waters, also featured rapper Rapsody, poet and educator Bomani Armah along with newcomer, YBN Cordae. In fact, Congresswoman Waters has organized and hosted this panel for more than a decade — not only engaging young people who frequent the Annual Legislative Conference, but also involving the hip hop community and members of Congress. 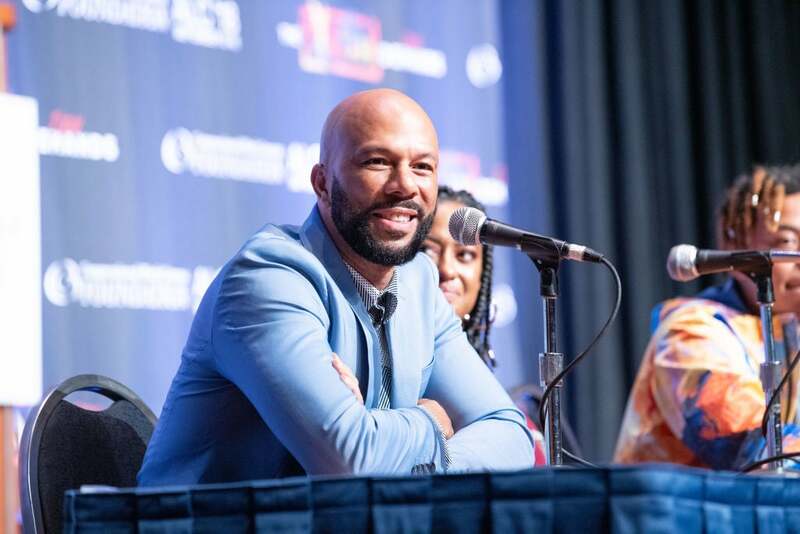 During the discussion, which featured performances by each panelist, Common also shared the inspiration behind his Oscar-winning song, “Glory,” which he wrote with frequent collaborator John Legend, and was featured in the film, Selma. Common also performed his 2016 song, “The Day Women Took Over,” which imagines a day when women are in charge and name-checks some of our favorite Black women, including Michelle Obama, Rosa Parks, Oprah Winfrey and Beyoncé. “I wrote this when I was thinking about Congresswomen Waters and like women her,” Common said.